Going to Graceland was a labor of love. I had to make an arrangements to get my parent's to Graceland. They are a big fan of Elvis Presley. I purchased our tickets online ahead of time, which it help us to avoid the long line upfront. 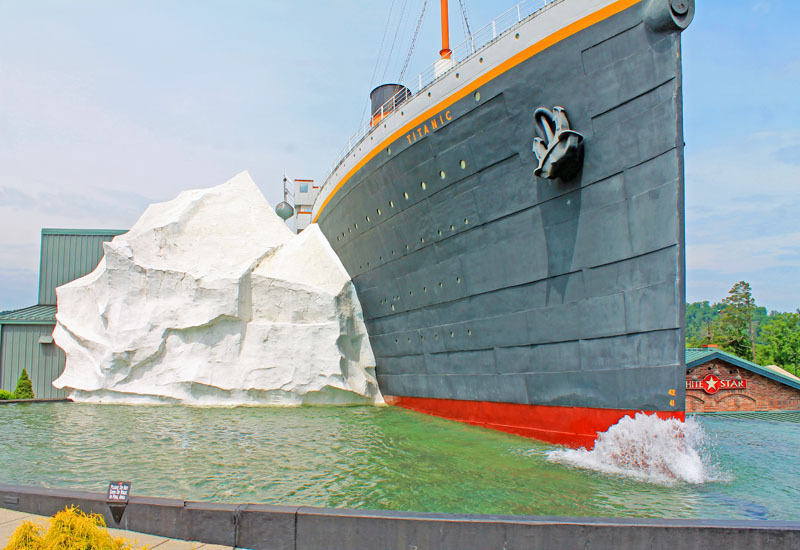 There are few different tour packages available with different prices and levels of access based on the price. 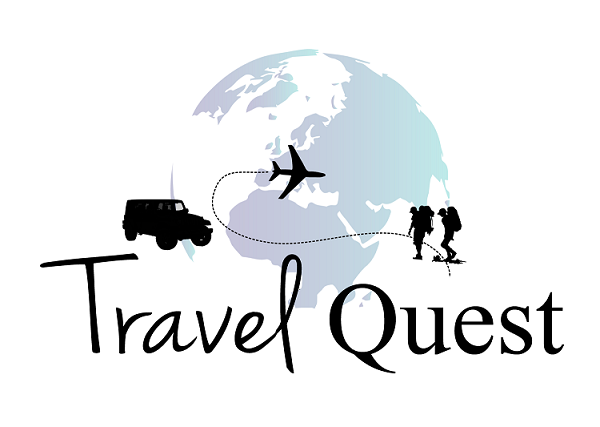 I choose the Graceland Tour, Automobile Museum and Elvis Presley's custom Airplanes. It includes hotel pick-up and drop off for $68/person. After you check in, you are given a headset and an ipad which is your interactive self-guided tour for Graceland. Everyone boards a shuttle that takes you through the front gate to the front door of the mansion. Flash photography is discouraged and filming is not permitted. 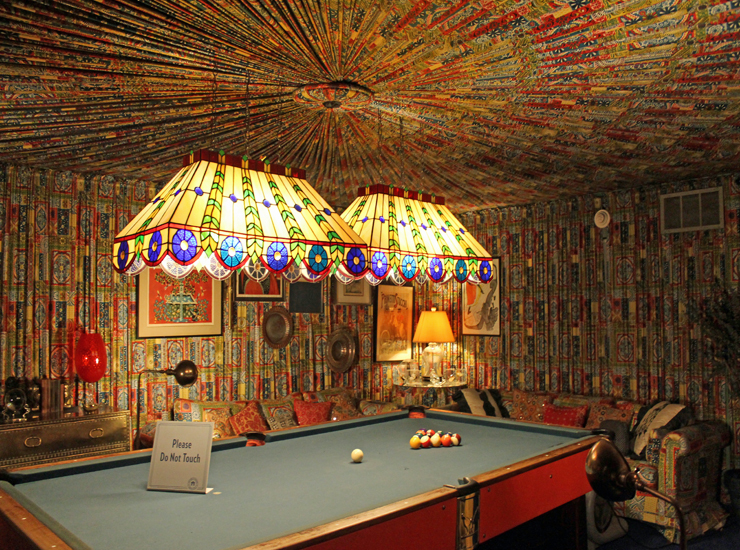 As the front door swings open, visitors are able to enter the private world of a rock legend. 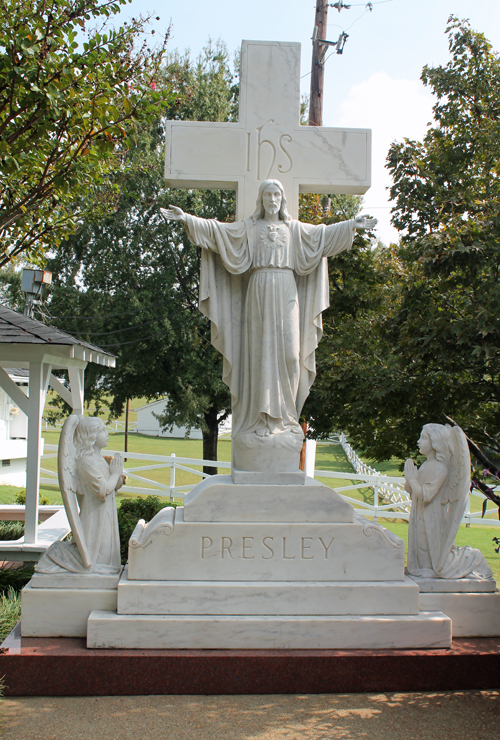 Elvis Presley, Graceland Mansion in Memphis is the second most-visited house in America. 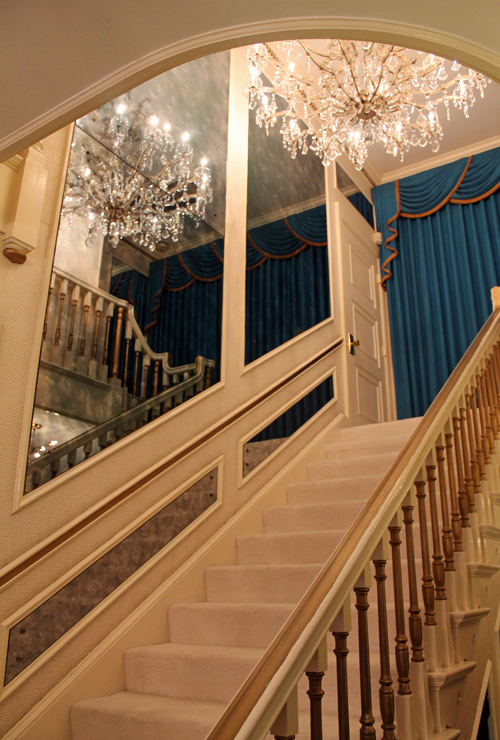 The Mansion Foyer is where special guests were greeted and shown to the living room where they would wait for Elvis to come down the stairs from his private area upstairs. 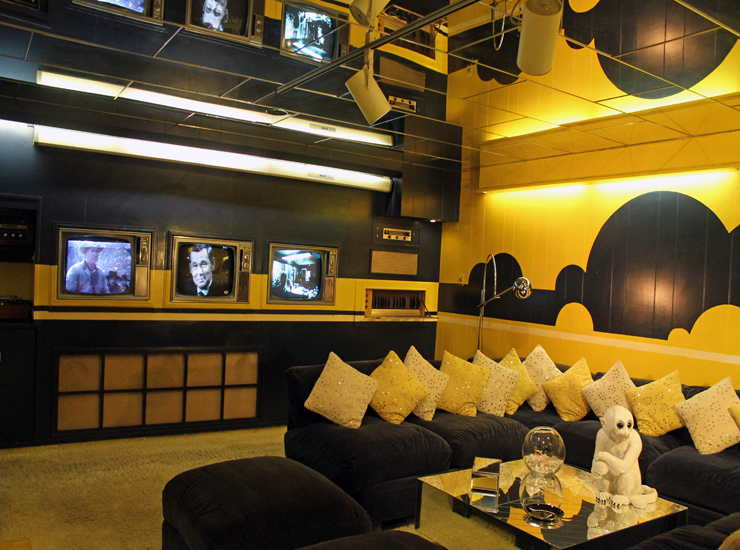 Elvis would often entertain his guests on his 15-foot white sofa inside the living room. The Grand Staircase, no one is allowed upstairs, as this was Elvis' personal quarters and he did not like people to be upstairs. 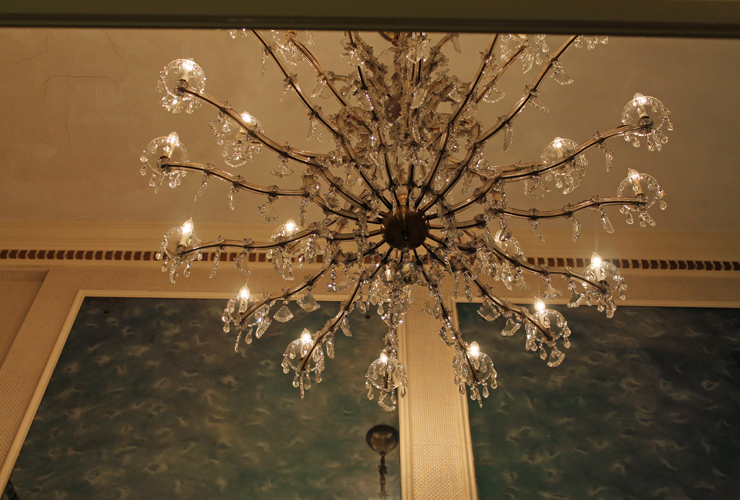 Chandelier at the entrance over the staircase. One of the bedroom down-stair. 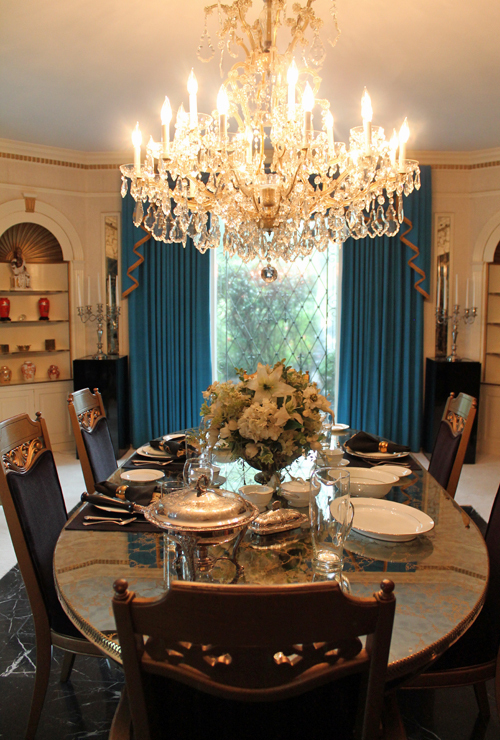 Across the foyer from the living room - is the dining room where Elvis and his family would enjoy down-home Southern cooking for their evening meals. Being in Graceland is surreal. Touring the mansion and the property in the back really gave me a better perspective of Elvis Presley's life. The mansion is kept just as Elvis had it when he passed. There's so much history in this home. 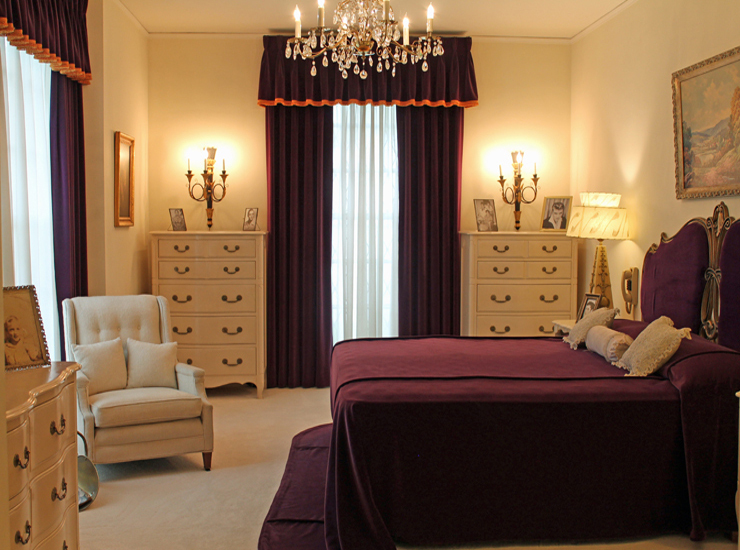 It is interesting, to think of how it compares to the lavish homes of today's celebrities. Graceland was more modest than what I have expected, but knowing how much it meant to him and his family made me understand why this was his home. 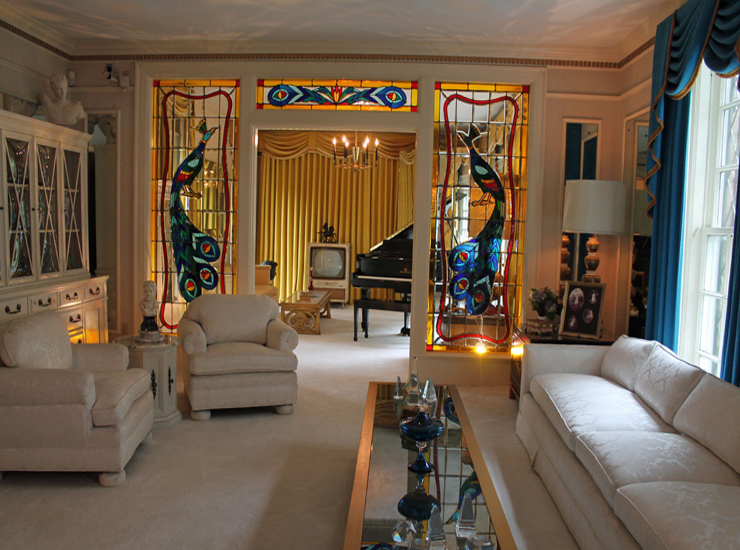 The music room where Elvis enjoyed singing and playing piano to his favorite gospel and R&B songs. 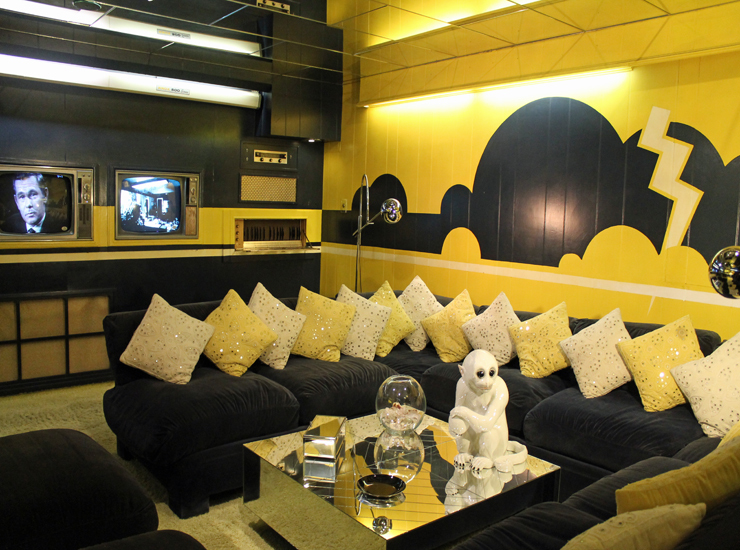 The Jungle Room has become famous over the years due to the eccentric design with a Polynesian influence, reminiscent of Elvis' favorite vacation spot - Hawaii. 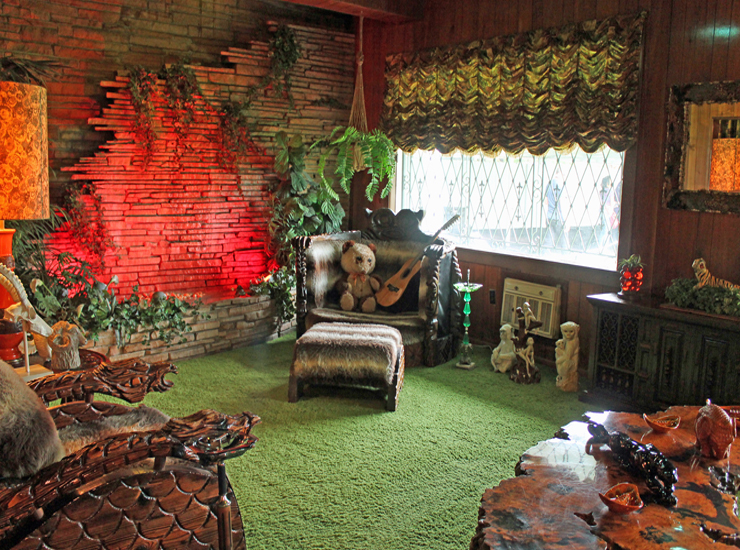 The detailed wooden carvings in the furniture and the green shag carpet of the 1970's makes this an Elvis fan favorite. Leaving the area, I felt a mix of emotions. It was a gift to be able to take my parent's here and watch them childlike awe of being at Graceland. Yes it was pricey and had cheesy elements. 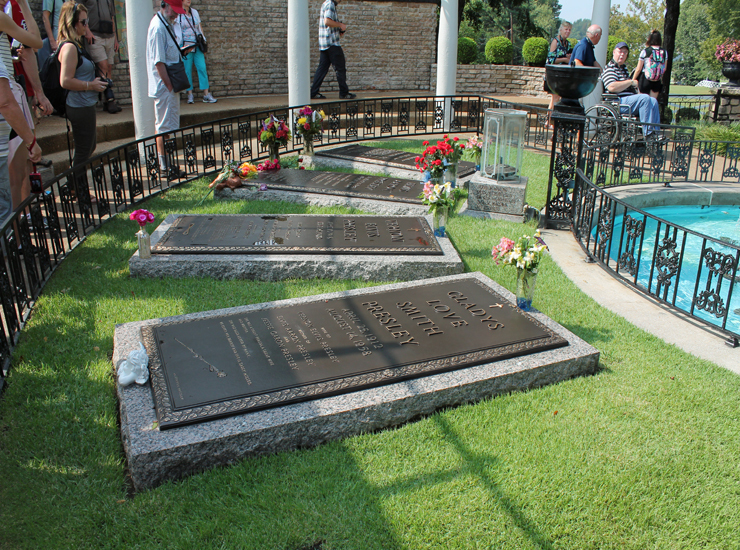 However, when you step into Graceland all that is forgotten as you will be fascinated. Learning more about Elvis and seeing his lifestyle and how he lived. Graceland tour is not complete without signing the famous Graceland wall. This was so much fun to see! I visited when I was in my early 20's and had forgotten so many of the things I saw! This was a lovely reminder. My friend and I had such a blast on our road trip to Graceland but it went by like a flash! This took me back! I've never been to Graceland but it sure looks like an interesting place to visit. 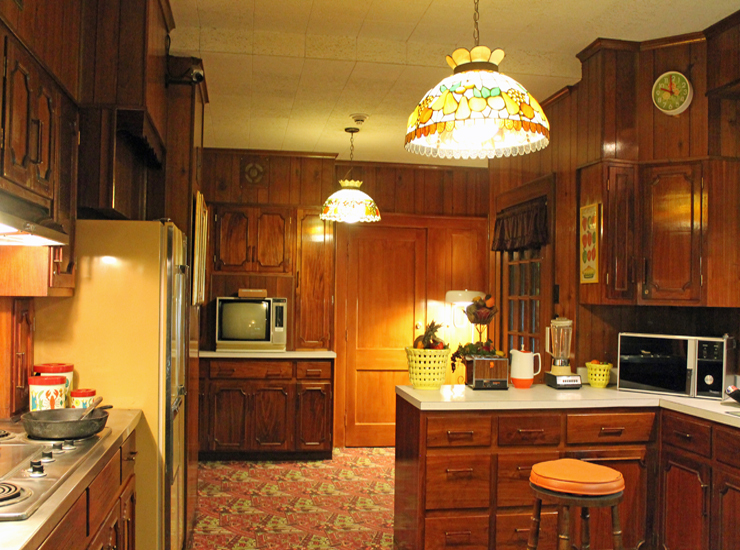 I would love seeing the kitchen all those older appliances and gadgets just fascinate me. The game room and Hawaiian room, wow, what decorating!! 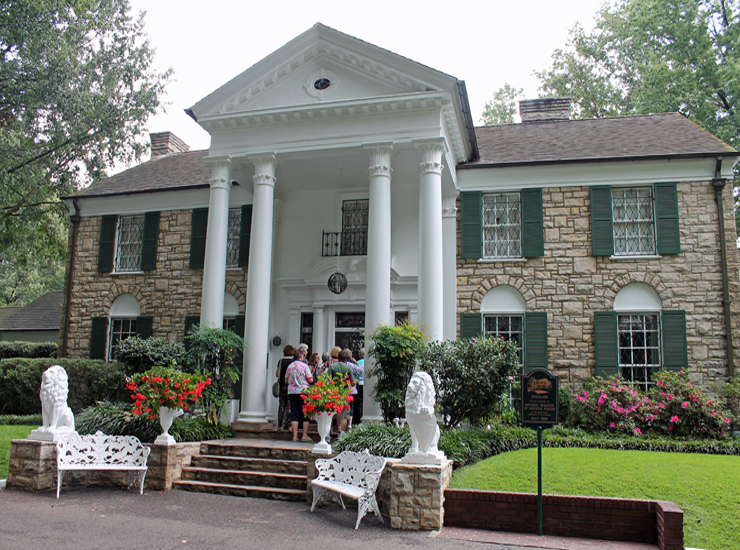 While I have never been a big Elvis Presley fan, I would still love to go and see Graceland Mansion. My husband is a big music lover so he would get a kick out of this for sure. What a fun experience. 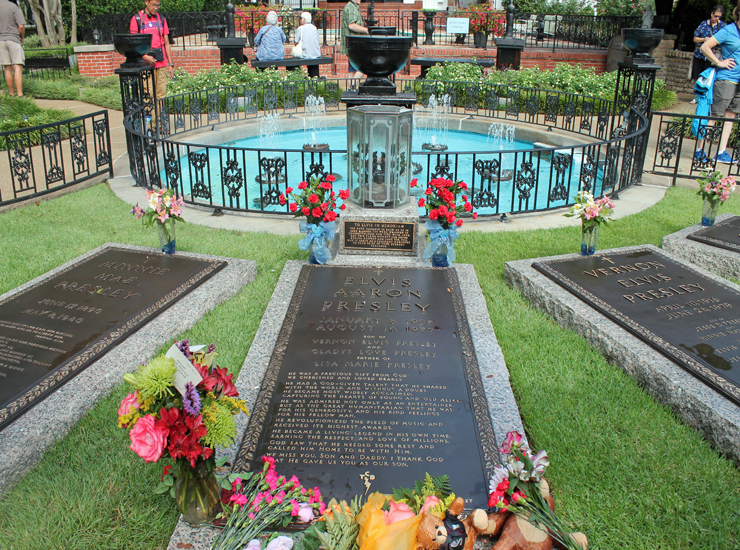 OHHH, I've never been to Graceland but it looks like a beaut of a place to visit. Loving the decor and style of the time. In a way it's almost timeless. Personally, not a huge Elvis fan, but I'm always game for visiting famous houses. I have never been there! I have family in Tennessee but I have never even been to the state. I love the idea of visiting but I just don't know if it will happen for us because it is such a long drive. 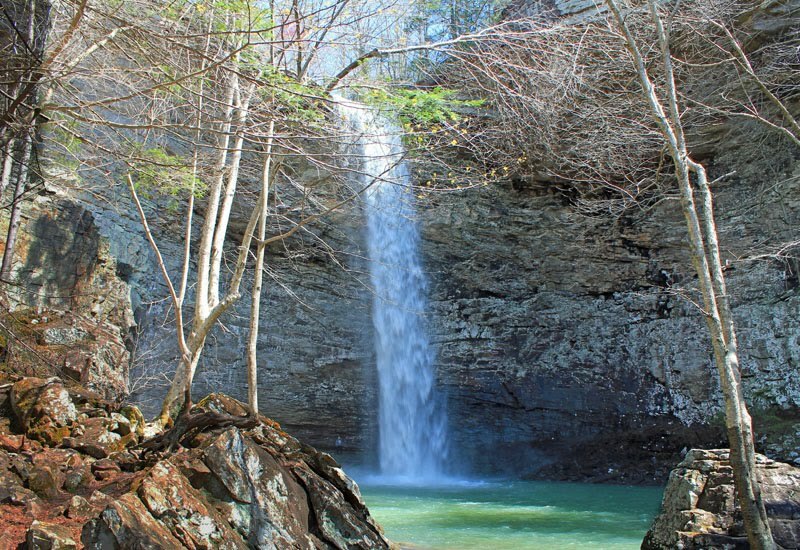 It sure looks beautiful though and I would love to see it in person! Until then I will have to share this with my family, they would love it! I did not know that Elvis had custom airplanes. I never really associated him with airplanes or flying. The exterior of the mansion looks very nice. I knew that Graceland was very popular, but I did not know that it was the second most visited house in the U.S. – very impressive. Such a nice gift to give your parents never been to Graceland but this looks like such a fun trip!